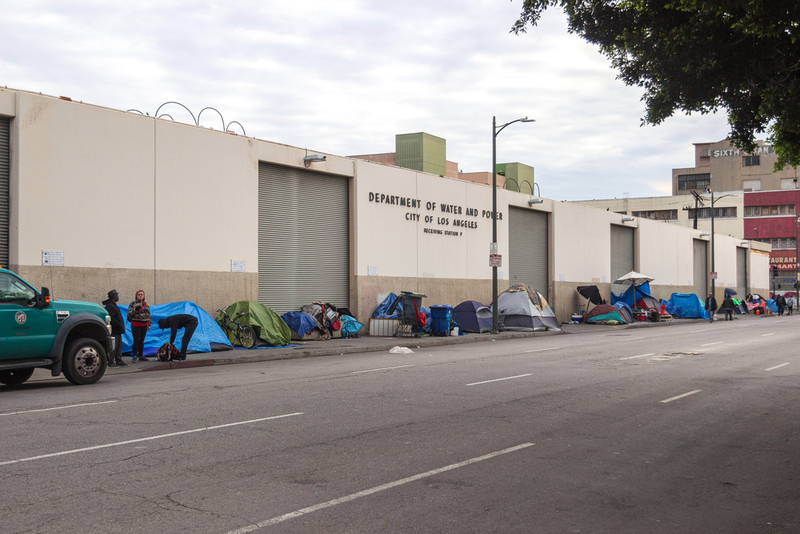 Given the sheer number of homeless people encamped on the streets of America’s major cities, plans to “end homelessness” might sound premature. But as the crisis grows in magnitude, advocates have been pressed to think bigger. One result is an expanding consensus that housing must come first, followed by support services, to put homeless people on sustainably stable footing. Meanwhile, the broader issue of affordable housing has lately drawn a lot more public attention and, as we've often reported, foundations and other players are engaging here with new urgency and new thinking. One intriguing development is the growing of role of health grantmakers and providers addressing housing. Another is the use of impact investments to move the needle on housing, which is a capital-intensive challenge. These threads recently came together in an announcement by Kaiser Permanente, the managed care consortium, that it will invest $200 million to address homelessness and the housing crisis, with an initial focus on increasing access to supportive housing and preventing people from becoming homeless. This is an impact investment, and Kaiser intends to earn a return. The money will flow through its Thriving Communities Fund, which is currently vetting local investment opportunities and expects to roll out announcements soon. It's worth unpacking this news a bit, since it offers an important window on the growing push to address issues of affordable housing and homelessness. First off: Why does a healthcare giant like Kaiser feel like it has a stake in this issue? Well, to be sure, some of the credit goes to foundations like Kresge and Robert Wood Johnson that have underwritten pioneering work on the linkage between housing and health as part of a broader effort to look upstream at the social determinants of health. Over time, it's become ever clearer that inadequate, unstable housing—along with the "built environment" broadly—is implicated in poor health in various ways. Such factors can raise stress levels, compromise immunity systems, expose residents to environmental risks, compound the effects of illness, and more. Being homeless offers the most extreme example of these effects: people living on the streets are more likely to get ill and die earlier. "Housing stability is a key factor of what impacts health," said Bechara Choucair, MD, Kaiser Permanente's chief community health officer, in discussing its investment. This is of concern to health insurers for an obvious reason: They lose money when their customers get sick. Health providers also face burdens and costs, especially from a homeless population that often ends up in emergency rooms. The health industry has a business case for getting people housed in stable situations. Kaiser has already been part of the growing effort to think more broadly about health and well-being. Along with eight other nonprofit hospitals and health systems, Kaiser has participated in Accelerating Investments for Healthy Communities, an initiative at the Lincoln Institute of Land Policy’s Center for Community Investment. The goal: Make it easier for these institutions, “which have already invested in the upstream determinants of community health,” to make further investments in marginalized communities. The Robert Wood Johnson Foundation backed the program. In backing the push to reduce homelessness and provide more affordable housing, Kaiser is joining a range of health players already working in this upstream niche. Beyond Kresge and RWJF, a number of state health foundations have taken on the housing issue, as we've reported. So have insurers like UnitedHealthcare as well as local healthcare providers. The second piece of this story, impact investing, has also been exciting to watch lately. Historically, housing has been a tough issue to take on, especially for philanthropy, because the solutions are so capital intensive. But the rise of impact investing has opened up new possibilities here, not just for foundations, but socially-minded private companies, as we've been reporting. Among impact investors from the foundation world and elsewhere—private money managers furnish the vast majority of impact investment funding—affordable housing is an attractive choice. For instance, most of the Ford Foundation’s new impact investments, which are part of a much-vaunted billion-dollar commitment made last year, have gone into housing ventures. Given the demand for housing, these are solid investments, too. In the urban, largely coastal markets where Kaiser operates and plans to commit this money, investors can expect to reap decent, reliable returns when they back affordable housing. Investing in permanent supportive housing for the homeless is a different kind of undertaking, but one where creative new financing mechanisms involving public-private partnerships have opened up avenues for impact investors to realize returns. Los Angeles is one city that's been on the frontier of this exciting work, and the Conrad N. Hilton Foundation is a leader here, as we've reported. Kaiser Permanente’s coverage areas largely coincide with ground zero for the homelessness crisis, and that probably played into its decision to go bold on housing. It’s also been known to sit on massive cash reserves, causing some consternation among healthcare reform advocates. This impact investment certainly sends the right signals. An interesting aspect of Kaiser's $200 million commitment is that it's situated within the larger landscape of housing advocacy. Chairman and CEO Bernard Tyson said, “We hope our commitment creates a broader national conversation on homelessness, and encourages other companies to join with us to advance economic, social and environmental conditions for health.” Of course, that conversation is already happening. But moves like this may further tip the scale. Significantly, Kaiser also took this opportunity to partner with Mayors and CEOs for U.S. Housing Investment, a coalition of local public officials and businesses pushing for ampler resources for the homelessness fight, including at the federal level. Sutter Health is another one of the private sector partners, along with Airbnb. Given current indicators out of HUD, we’re unlikely to see a cohesive and sensitive federal approach to mitigate the housing crisis. But the expansion of local and state-level advocacy may be just as important, if not more so. After all, local land use regulation and community opposition are among the main factors holding back more affordable housing in expensive urban markets. Kaiser’s commitment demonstrates that there’s money out there for affordable housing—if not as much as we might like. It’s also another sign that corporate America sees that it's in their interest to do something about housing and homelessness in the cities where they operate. We’ve seen several such examples from the Bay Area recently, including a $50 million outlay from Cisco for supportive housing. Salesforce’s Marc Benioff is also funding local anti-homelessness efforts, as are Facebook and Google. Going forward, as this landscape gets more crowded with heavy-hitters, foundations might make the greatest impact by coordinating advocacy and encouraging investment in housing. That’s the argument put forward by Funders for Housing and Opportunity, a new collaborative that wants to “change the narrative” on housing. Quite a few big names are involved, including Gates, Ford, Hilton, MacArthur, Annie E. Casey, and Kresge. It’ll be interesting to see how those more traditional philanthropies interact with the new ecosystem of corporate funders and impact investors coalescing around housing.